With superb technology, The Leica DS2000 4 Wheel Radar Utility Detector can recognize and can avoid hitting underground assets like non-conductive pipes and fiber optics. To increase safety, it features a dual-frequency (250 & 700 MHz) perpendicular antenna orientation that makes detection easier. The 700 MHz antenna detects small targets located close beneath the surface up to a depth of 6.5 to 9.8 feet (2 m to 3 m), depending on the soil conditions. On the other hand, the 250 MHz antenna detects bigger, deeper located targets up to a depth of 13 to 16 feet (4 m to 5 m). 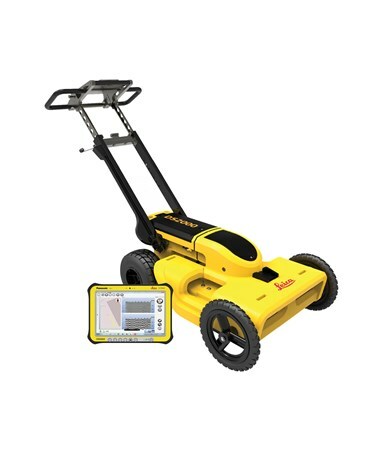 The Leica DS2000 can acquire data more than ten kilometers per hour which is ideal when doing site construction, excavation, and utility mapping. Having two hardware channels, this utility detector has a scan rate per channels of 381 scans per second with 42 scans per meter. Also, it features two integrated encoders - GPS and/or TPS. 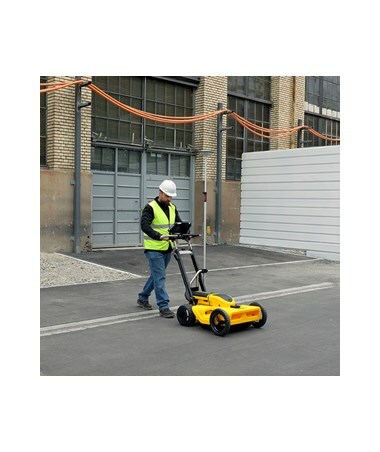 The ground penetrating radar in the DS2000 can detect electric cables which are live and not active, metal pipes, plastic pipes, fiber optics, old structures, concrete pipes and even the object depth. This Leica underground detector features the best ergonomics and has a rugged wheel which can withstand harsh job site environments. With its foldable system, it is compact and can be easily stored. It includes a rechargeable Sealed Lead Acid Battery (SLAB). With an IP65 rating, the DS2000 is dustproof and water resistant. 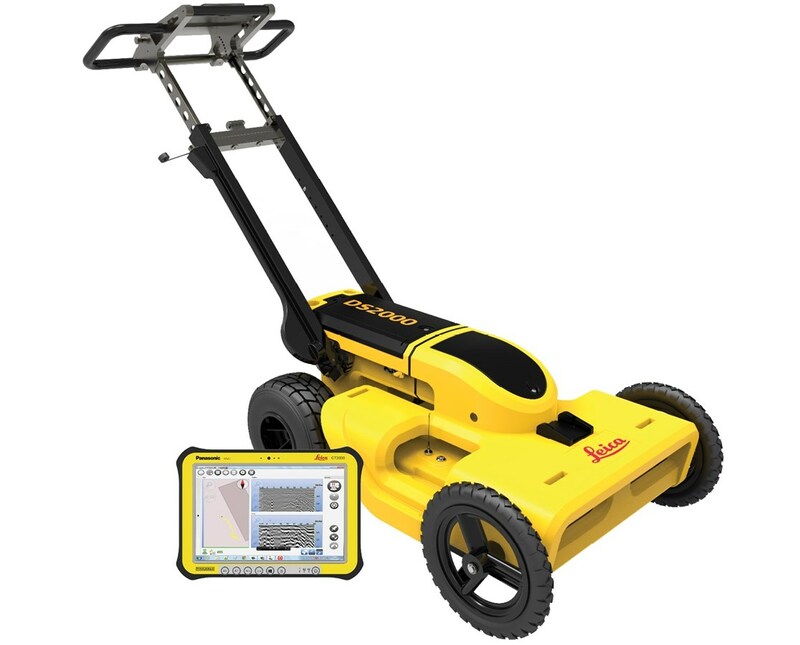 The DS2000 is safer, faster, efficient and time-saving.